SOME OF MY QUILTS, WALLHANGINGS, and WRITER FRIENDS. 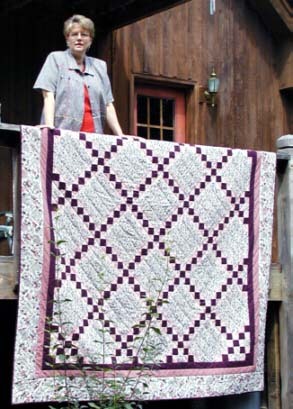 I learned the curved strip piecing technique from Carol Britt. 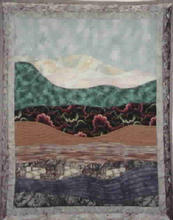 This wallhanging shows the mountains in early spring. 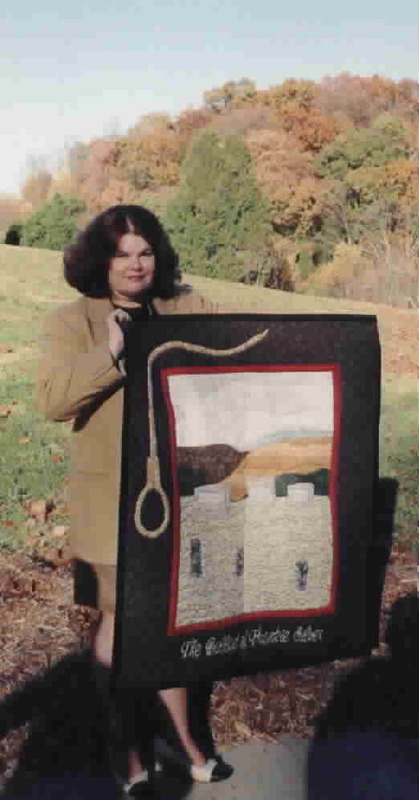 This quilt is the cover of my poetry book, Blood & Bone Remember. 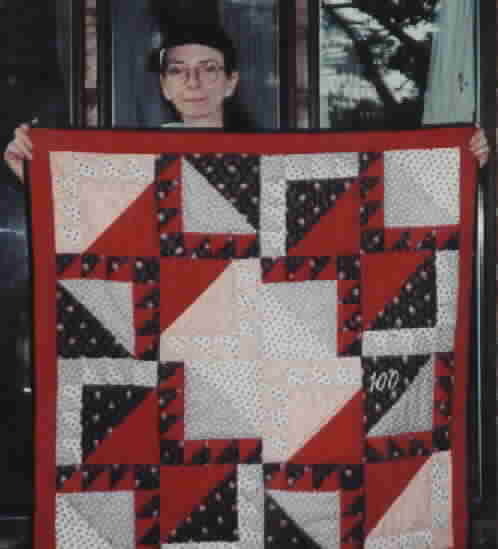 Like all my quilts, it is hand-quilted. I like the control of my stitiches and the look of the quilting. A variation on the traditional Dresden Plate, this quilt was made for my friend, Melanie Hutsell for her graduation from UNC at Chapel Hill. 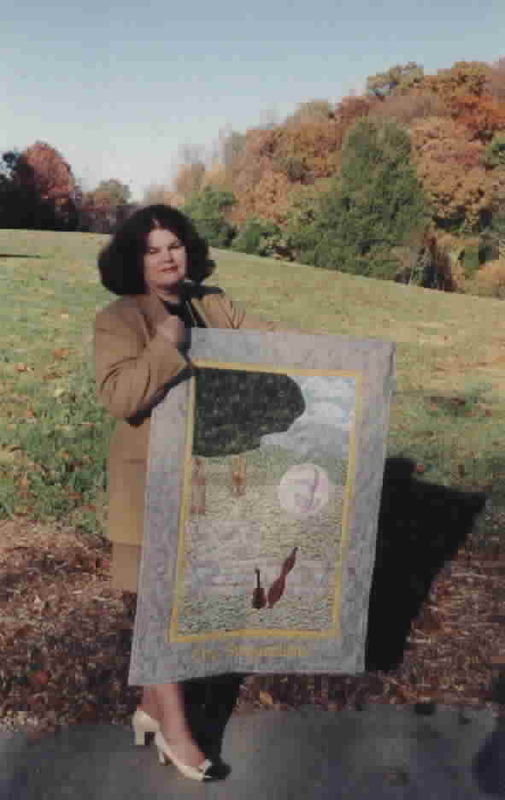 Jo Carson with her Bear Paw quilt. It was my first "literary quilt" and represents elements from her play, The Bear Facts. Jo left us after a valiant struggle with cancer. RIP, friend. The first wallhanging I did for Sharyn. The Ballad of Frankie Silver tells the story of the first woman hanged for murder in North Carolina. 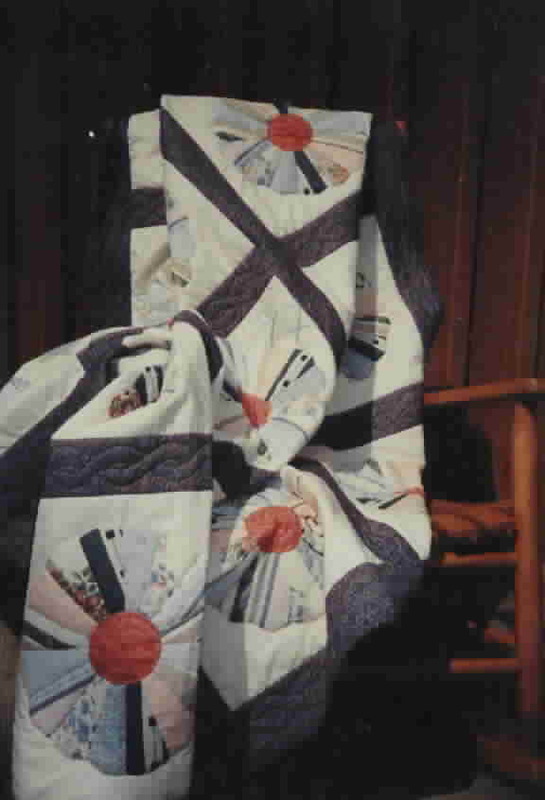 Clay's Quilt (Algonquin, 2001) is Silas House's first book. The wallhanging recreates cover art by Randy Stone. 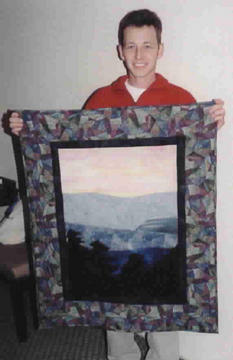 This quilt was made for my son, Scott, and his bride, Teresa. The sunlight washes out the colors which are coral, mulberry, and taupe. The quilt is queen size and hand quilted.